Patagonia is revered as a nature lover’s ultimate playground, with its towering granite peaks, lakes, rivers and verdant forests home to over 500 species of wildlife. Renowned as a bird-lover’s paradise and also home to a number of larger animals, including whales, penguins, guanacos and ever-elusive pumas, Patagonia is one of the most distinctive and rich wildlife regions in all of South America. The eclectic mix of topography, coupled with the harsh climate which defines this southern region, means that wildlife is varied, and the encroachment of farming activities, along with seasonal migrations for some species, mean that some spots are better than others for catching glimpses of particular animals. The wonderful thing about wildlife spotting in Patagonia is that it is, for the most part, just so incredibly easy. Even when you’re not specifically looking, you’re bound to come across an infinite array of endemic birds like hawks and eagle, as well as guanaco, grey fox, wild horse and deer going about their daily business as you hike and explore along trails in any of the major national parks. For some of the most distinctive, like the puma or Magellanic Penguin, you’ll need to head to more specific areas instead. The wildlife-rich region of Torres del Paine is the most popular destination to explore at length, home to more species of animals than any other. It helps, of course, that the National Park is so extensive, and boast such a wonderful mix of landscapes. 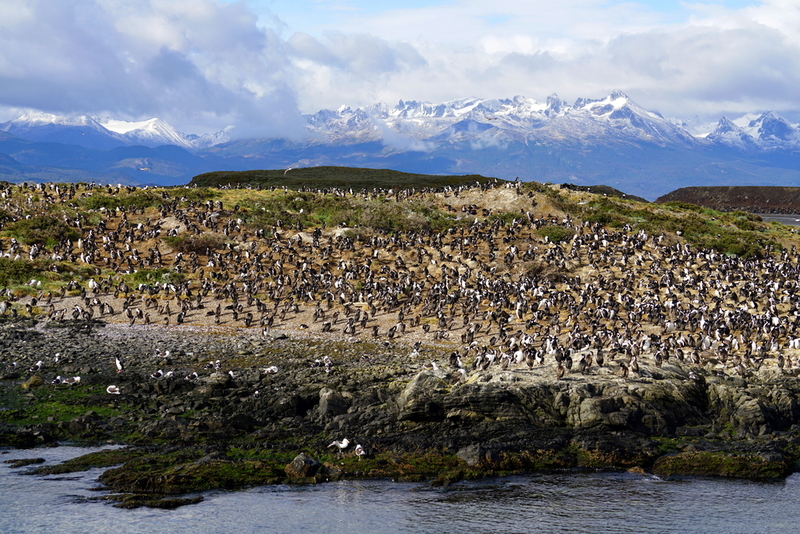 The Valdes Peninsula is the best place to see whales in migration and Tierra del Fuego, the launchpad for cruises to Antarctica, the best spot to see the unique sea life of Patagonia, like penguins, seals and sea lion. Heading to Patagonia and wondering what kind of interesting creatures to look out for? Here’s your Wildlife Guide to Patagonia, a list of some of the most iconic animals you can see. The Patagonian puma is arguably the most sought-after animal for any wildlife lover traveling to the southern end of South America. This is the largest land carnivore in Patagonia and the southernmost feline of tis kind in the continent. A stunning cat which grows to an impressive size, the puma is an agile hunter and feeds on guanacos and large birds. The best bet for sighting this majestic predator is in the Torres del Paine National Park, and Aysen, the fjord-rich south-westerner region of Chile, a pristine and remote area of Patagonia that’s becoming an increasingly popular destination thanks to the construction of new accommodation lodges. 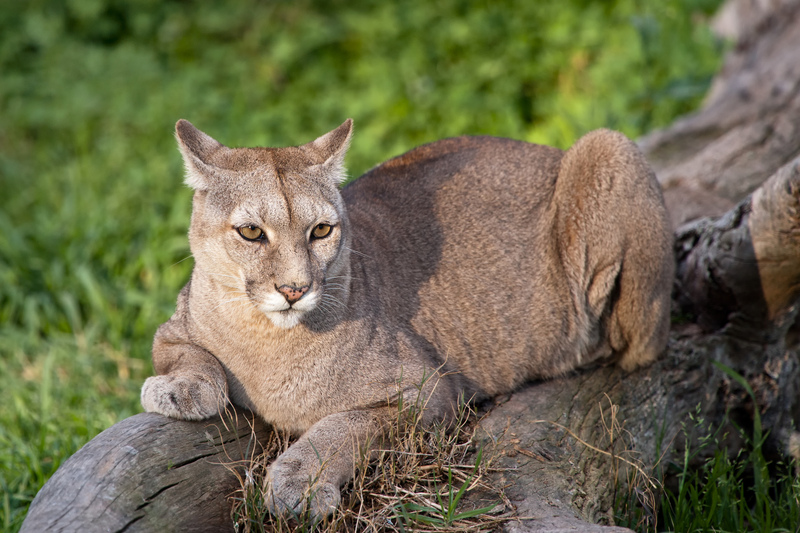 The puma of Patagonia, once almost hunted to extinction, has made a phenomenal comeback in the last three decades thanks to safeguarding measures. Although sightings in the above-mentioned areas are not guaranteed they are not all that rare. The llama’s southern cousin is the postcard wildlife-child for the region, appearing in abundance in various areas of Patagonia, all year long. They are perhaps most numerous in Tierra del Fuego, where they thrive peacefully without the worry of their major predators on the mainland: the above-mentioned puma. 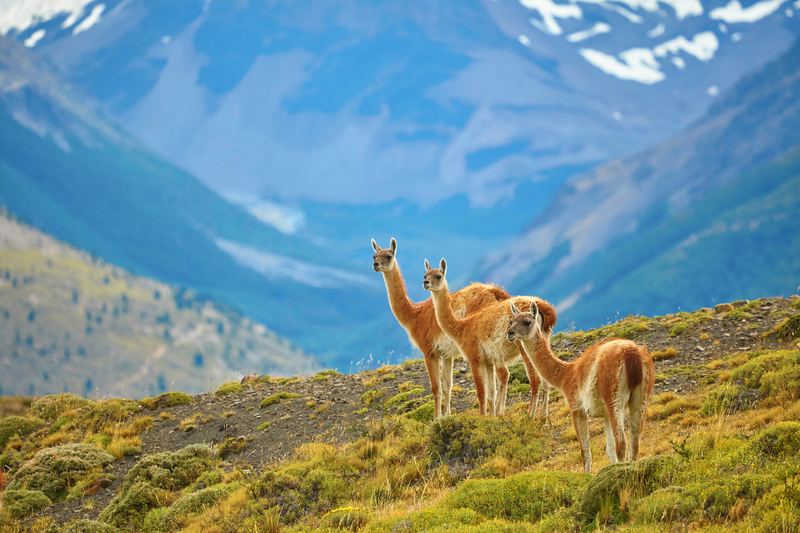 A very social, alert and inquisitive animal, the guanaco travels in packs and in winter large mixed groups of up to 400 members can be spotted. Over 2000 are thought to be inhabiting Torres del Paine, and sightings there are just about guaranteed. 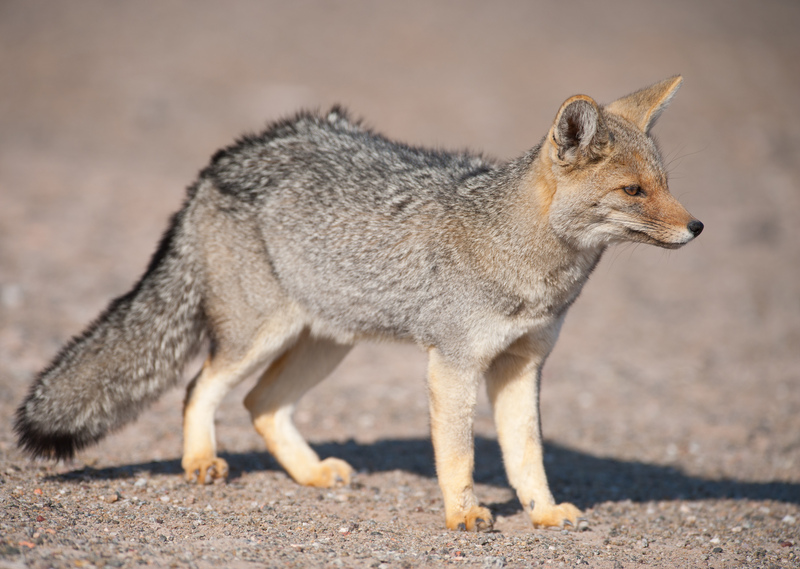 The Patagonian grey fox is a relatively small canine, with males weighing, on average, about 4kgs. They are found throughout Chile and survive on a mixed diet of meat (birds and hares, mostly) as well as wild fruits. 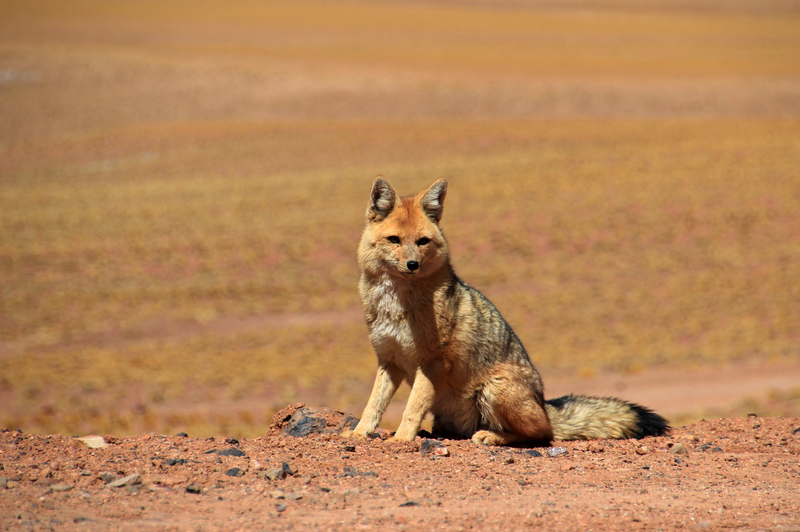 This larger species of fox boasts a distinctive red fur on his head and feet and is found all over Chile, as well as Tierra del Fuego. 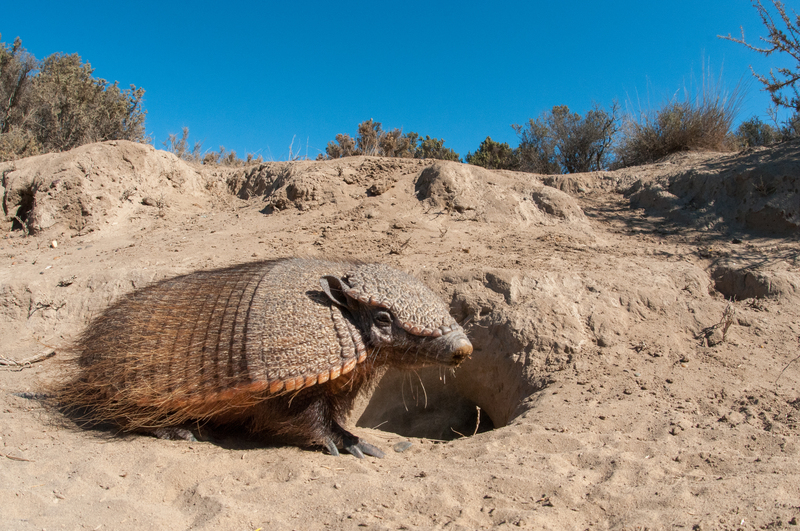 This somewhat fluffy armadillo can grow to an impressive size, with full-grown males weighing it at about 7kgs.More agile than it looks, and certainly a very apt digger, the armadillo can dig deep burrows and tunnels with the coordinated efforts of his four strong paws. Primarily seen in areas with soft soil, the Patagonian Armadillo is best spotted in the lakes region of Torres del Paine. If there’s one animal that impresses size, it would have to be the Mara, one of the largest and cutest rodents in the world. They can grow to weigh up to 9kgs and show astonishing agility considering their stocky shape and weight, especially when chased by predators. 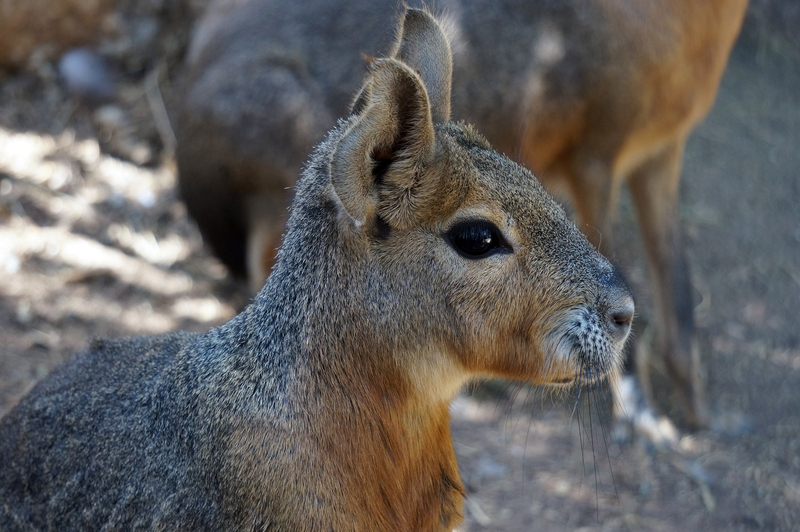 The Mara is endemic to Argentina but can be found throughout all of Patagonia. Travel here at the beginning of tourist season, in September and October, and you may be lucky enough to see baby maras too. 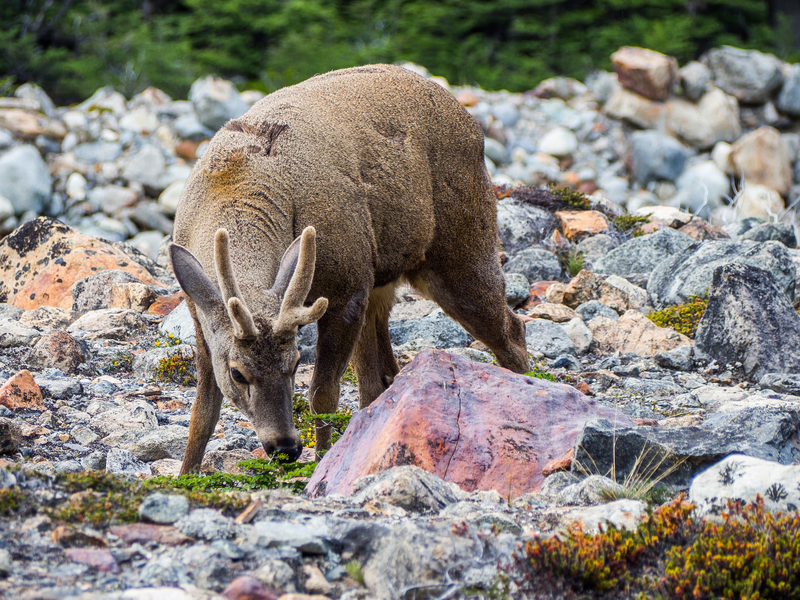 Torres del Paine is also home to the Huemul, an endangered animal that’s become Chile’s national symbol. Only a hundred of these South Andean Deer remain, making it one of the rarest and most protected of all. Parque Patagonia also boasts a modest group of this small, stocky but very beautiful animal. 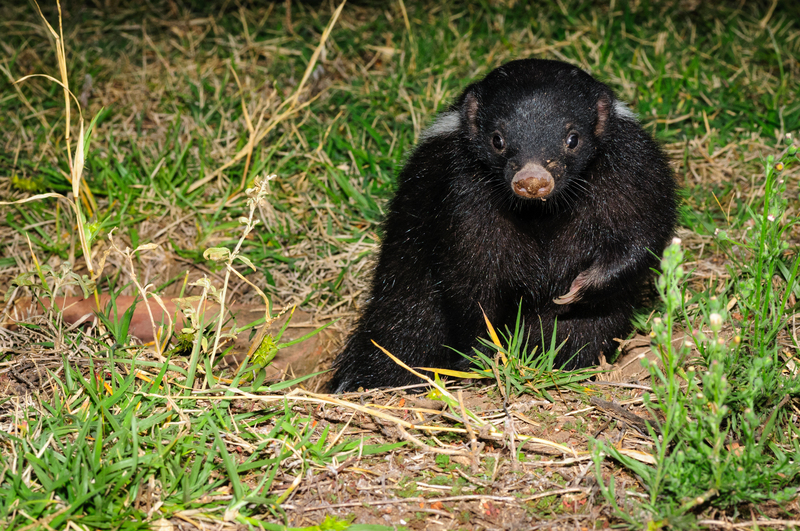 Now here’s an animal you’re more likely to smell, rather than see! At least, at first. The chingue is quite a common sight – sorry, smell – in Patagonia, with the burnt-coffee-like scent adorning bushes along trails all over southern Argentina and Chile. 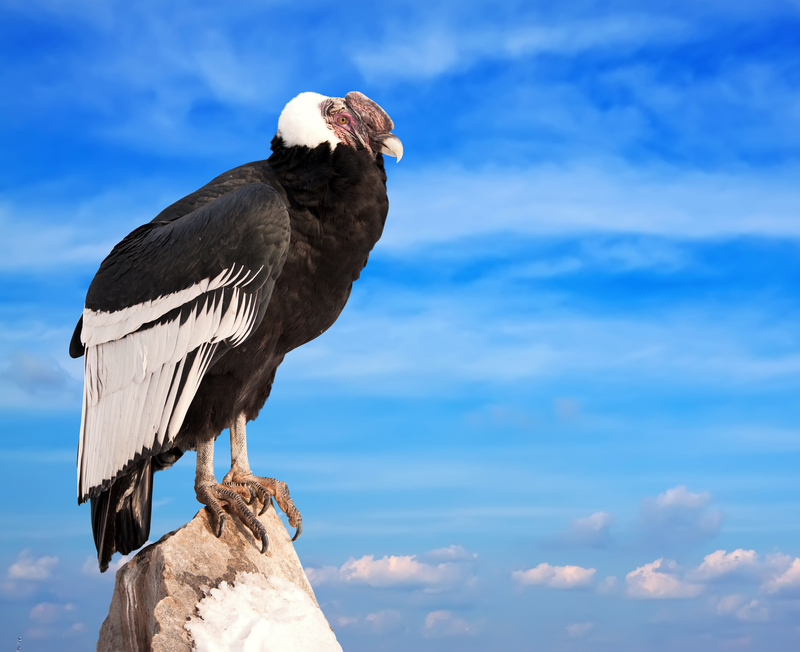 With the largest wing-span of any land bird on earth, the Andean Condor can easily be confused for a prop on the Games of Thrones set. Best seen in Peru’s Colca Canyon further north, it also inhabits various regions of Patagonia. 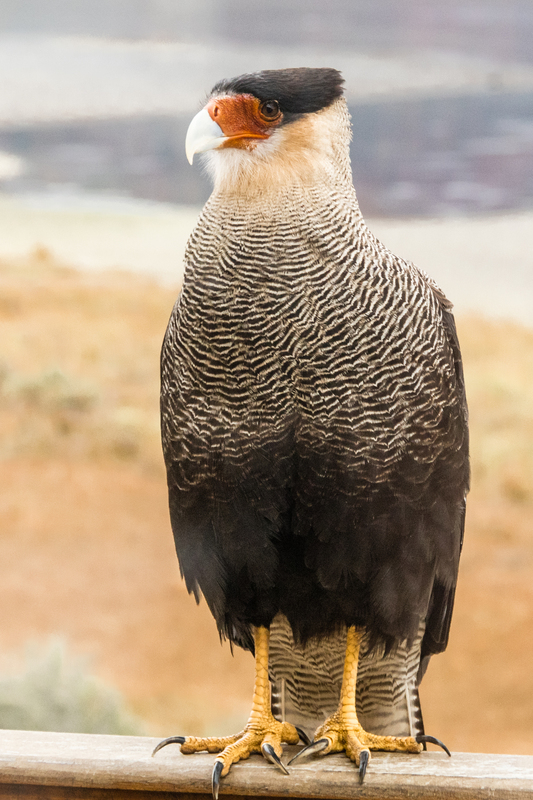 The second-largest falcon in the world, and easily identified thanks to its bright yellow legs and flat . Native to the Falkland Islands, the black-bowed albatross can also be seen in Tierra del Fuego in substantial numbers. The frigid waters off the shores of Patagonia attract four different types of whales: the Killer, Humpback, Southern Right and Blue, the largest of all. Whale-watching in Patagonia is mostly related to timing. 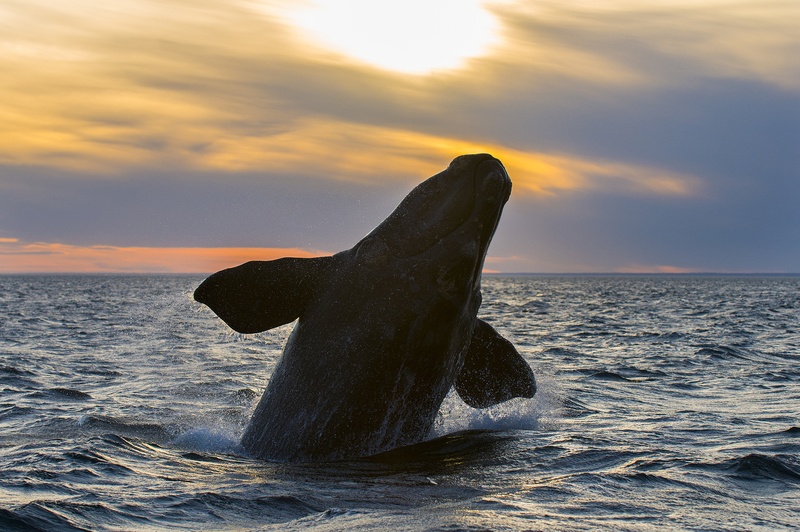 The Valdes Peninsula is considered the best spot to see migrating Southern Right whales between June and December (they converge in the gulfs near Puerto Madryn to breed) and awe-inspiring Orcas in September, as well as March and April. Humpback Whales are best spotted in the Strait of Magellan and throughout the Chilean Fjords. Several species of dolphins inhabit the waters of Patagonia and can often be seen surfing and playing behind the wake of tourist boats. 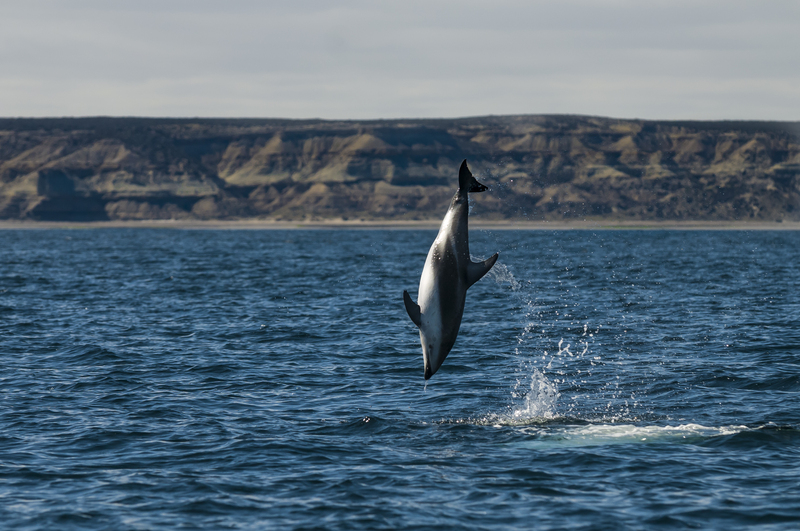 The two main species to look out for are Dusky Dolphins (revered for their crazy acrobatics) and the distinctive two-toned Commerson’s Dolphins. 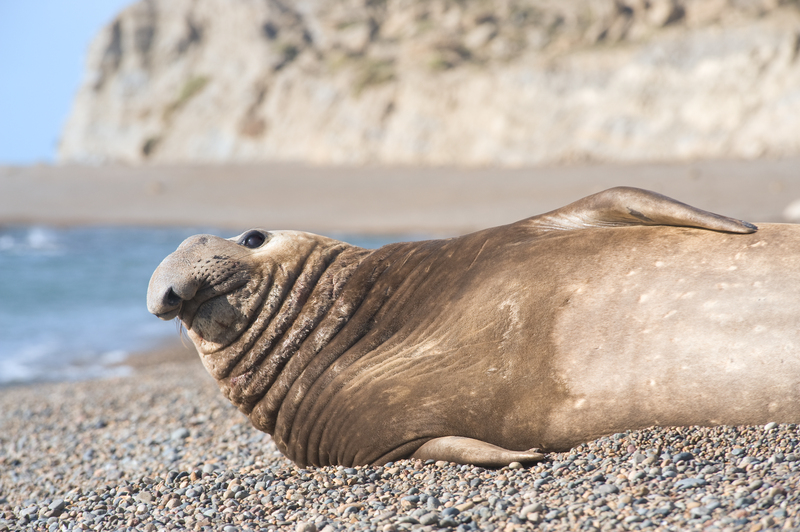 The comical seal with the funny nose are a common site in Patagonia, with large colonies found lazing about in Valdes and along the coast of Tierra del Fuego. 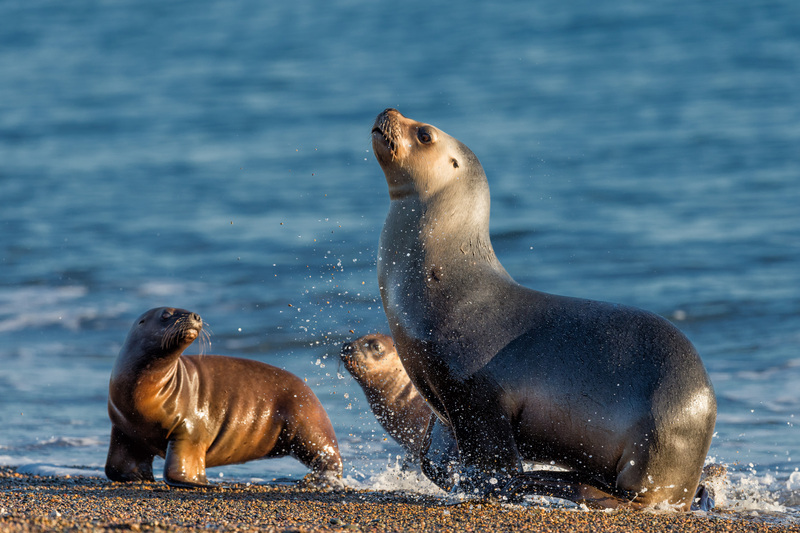 Loud and proud, the sea lion starts colonizing the coast of the Valdes Peninsula from December each year, eagerly anticipating the arrival of the females. Fiercely territorial, sea lions congregate in very large numbers and are a splendidly delightful feast for all the senses. The only colony of King Penguins in Patagonia is found in Tierra del Fuego, where they live all year round. While the Magellanic Penguin can be seen in much bigger numbers in several locations in both Patagonian regions of Chile and Argentina, especially on Magdalena Island, near Punta Arenas. 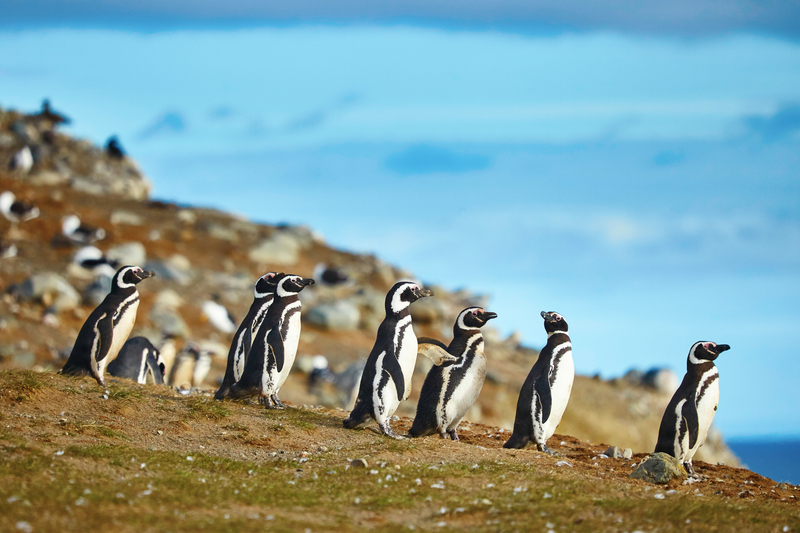 This is an unparalleled penguin-watching destination in South America. Our Wildlife Guide to Patagonia covers the most famous and popular animals, but note that dozens of other species of animals, including birds of prey, land and sea, as well as amphibians, reptiles and even more mammals inhabit this enigmatic and breathtaking region. Every tour of Patagonia is bound to be a wildlife bonanza but if you’re after a particular, wildlife-focused trip we can organize a bespoke itinerary for your viewing pleasure. Contact us for more info. Travel to the heart of Torres del Paine National Park. Enjoy guided treks, wildlife excursions & gaze up at the star-filled sky through your dome ceiling.